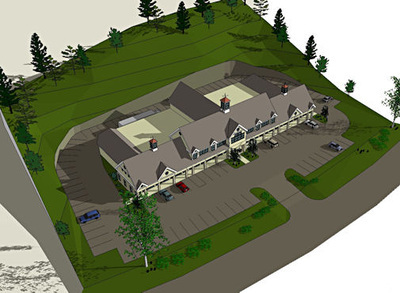 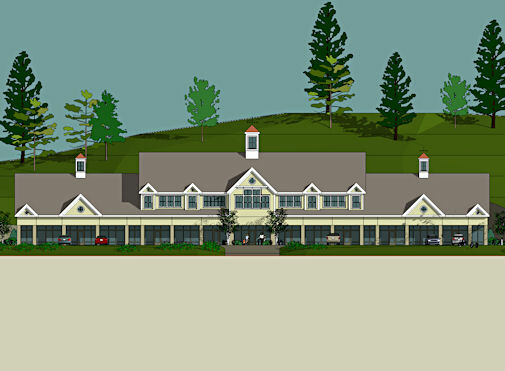 Designed to complement the historic architecture along Main Street in Northborough, this modern building is designed to be an attractive addition to the finer architecture along the major road in Town. 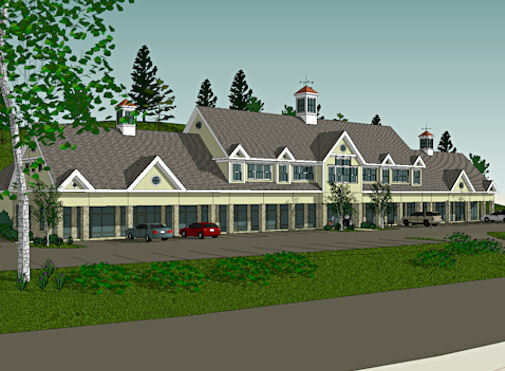 The stone columns, carefully detailed trim and repeating cupolas present an attractive facade. The roofline of repeating gables hides the mechanical equipment on the unseen flat roofs beyond.